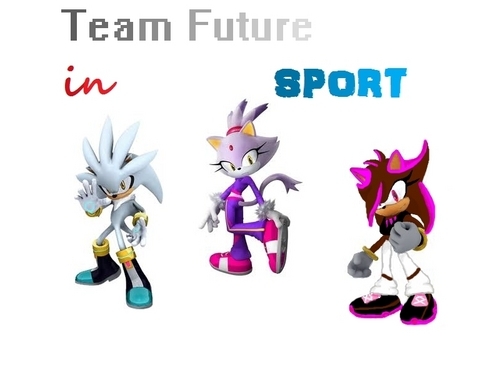 Team Future in Sport!. Oh, it's the olympic games! The Team Future is ready! :). HD Wallpaper and background images in the Sonic Fan Characters club tagged: silver blaze diamond team future sport olympic game. You know what I mean when I say "image credit? ", right? I thought we went over this. To be frank, I do not really know what "Image credit" ... At the same time, when one is French and we just throw it in English ... I would not refuse a translation! It means you give credit to the artist who originally drew the picture... So just say: "Silver and Blaze belong to Sega, and I recolored Shadow into Diamond"
French: "Silver Blaze et appartiennent à Sega, et je recolorés Shadow en Diamond"
Aaaaaaah, okay! Well, Silver and Blaze belong to Sega and I recolored Shadow in Diamond! I did not know you spoke French!